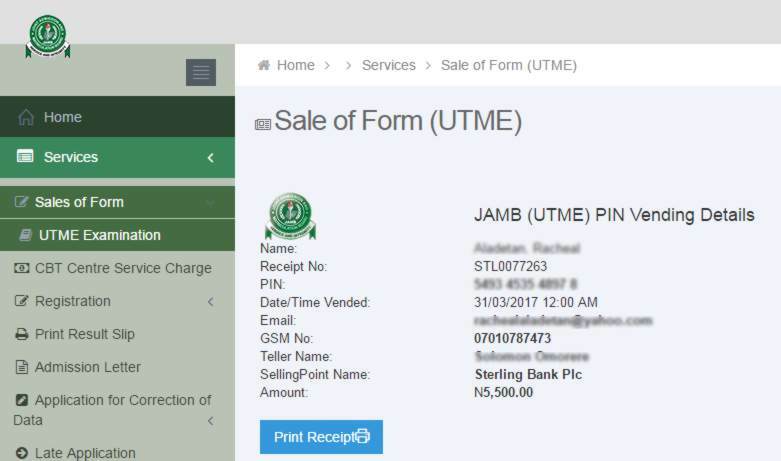 If you encounter any issue of getting back your correct or lost jamb epin detail, below is the proceed on how you can get it back. 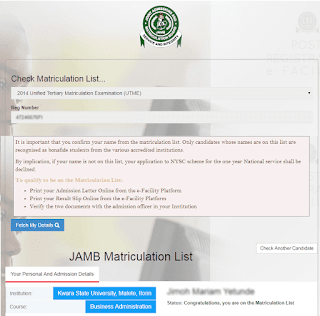 - To view your correct epin click on UTME Examination. - To make a hard copy of it, Click on Print Receipt.